A lovely design illustrating a little girl wearing a pink bunny costume and holding flowers. Perfect design from our collection of rabbit wall stickers. 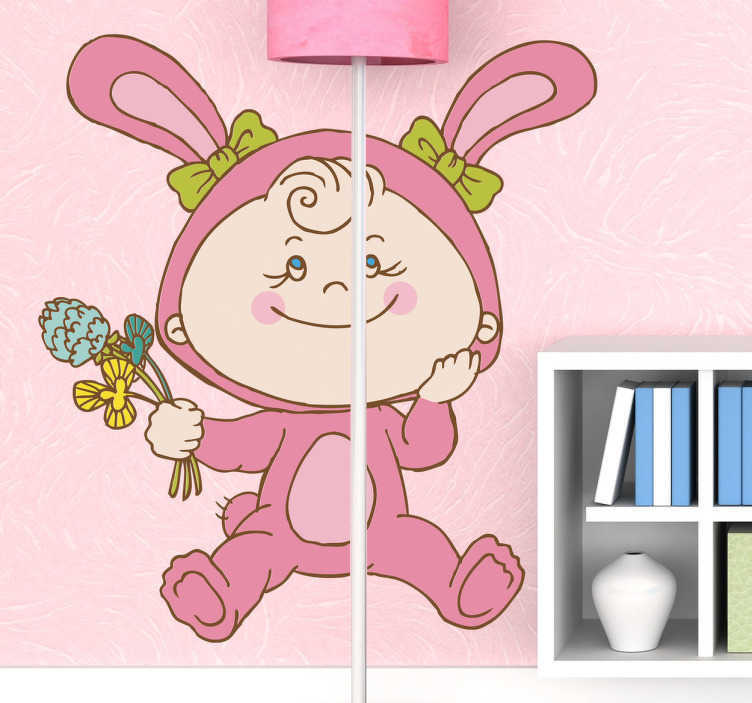 If your daughter loves rabbits and would like to decorate her bedroom or play area then this bunny decal is deal for her! Decorate her bedroom with this original and colourful design to create a cheerful atmosphere. This pink bunny costume design is available in various sizes. It is easy to apply and leaves no residue upon removal.